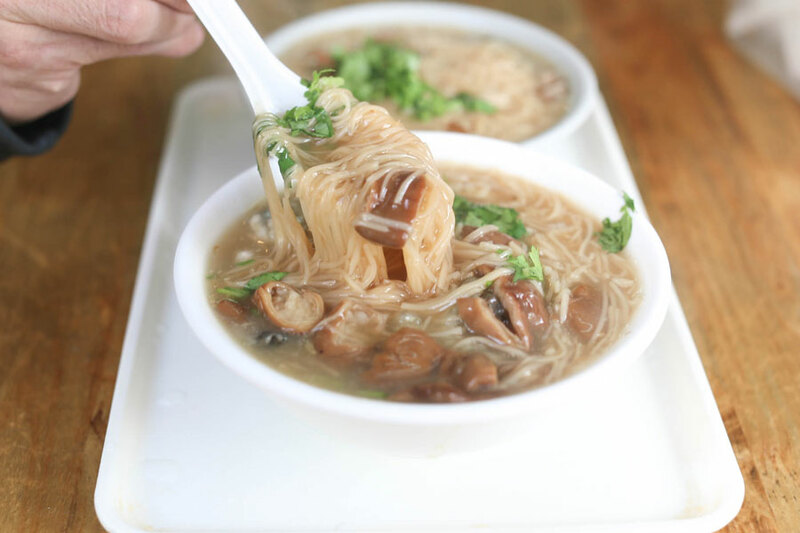 [Taipei] Ah Zong Mian Xian, otherwise known as Ay Chung Rice Noodles 阿宗麵線 used to be my favourite Mee Sua from Taipei. When I say “used to”, it could be as far a decade back when it was crowded, but not flooded with tourists like now. Unfortunately, the standard and consistency was not like in the past as the store gets more commercialised. 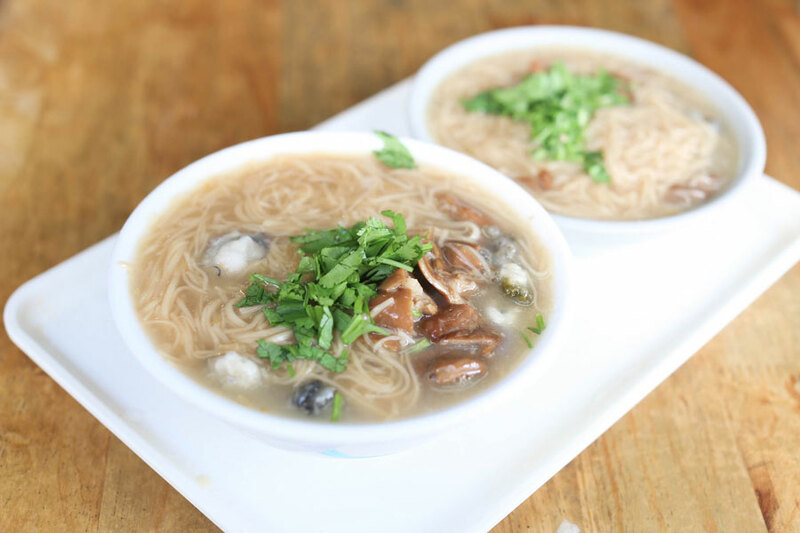 I was recommended to Chen Ji Mee Sua 陳記專業蚵仔麵線, or Chen Ji Intestine & Oyster Taiwanese Vermicelli Shop. 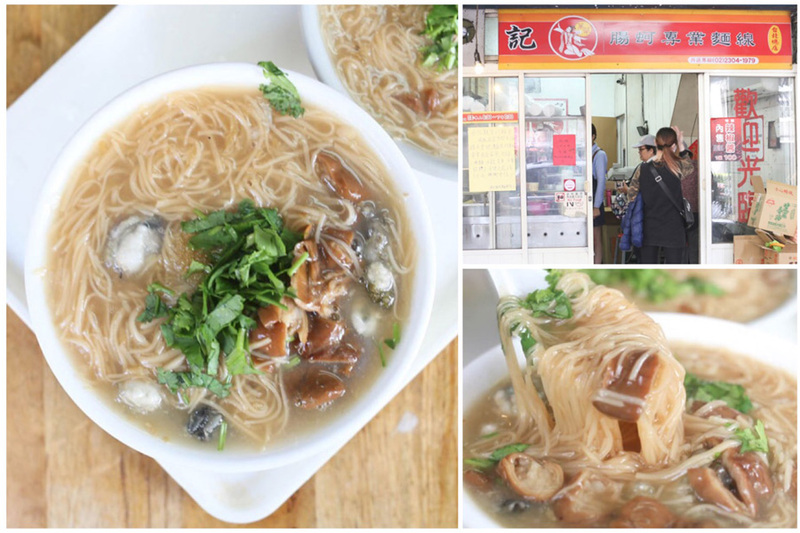 Many call it the “Best Mee Sua in Taipei”, with “original local taste without over promoting”. 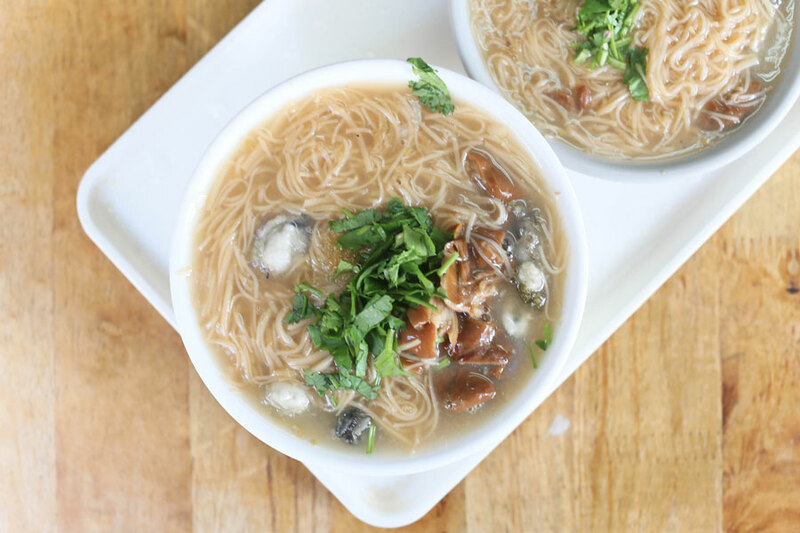 Mee Sua is a Taiwanese dish that is basically a vermicelli soup included with large pork intestine or oysters. 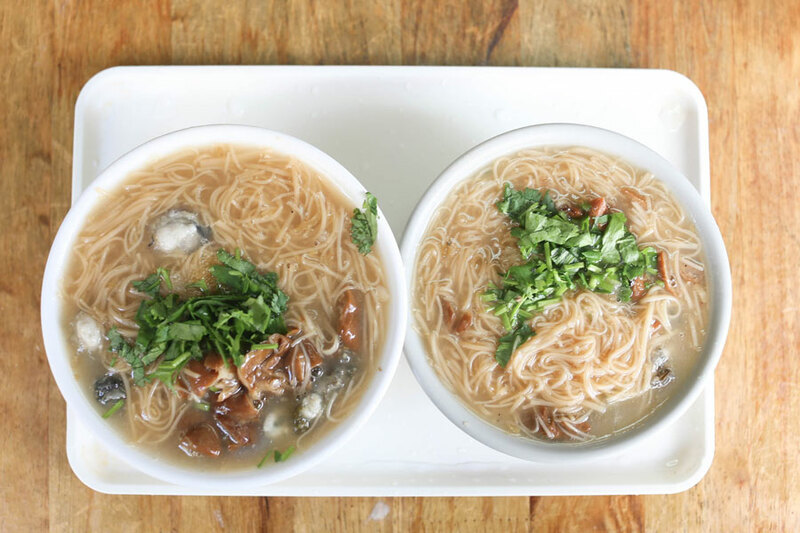 The noodles served with the soup should never fall apart or stick together. At least, this is what the general rule is. 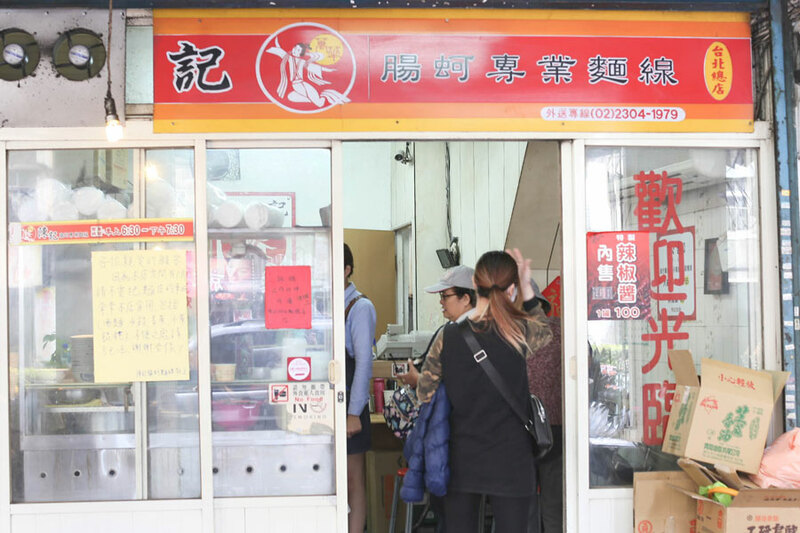 Chen Ji Mee Sua looked like an average Taiwanese food stand. No fanciful interior, just a counter where you can order food, and a couple of tables outside the shop. 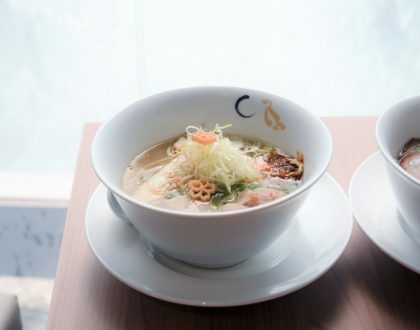 A large bowl 大碗 is priced at NT$65 (SGD2.90), smaller bowl 大碗 at NT$50 (SGD2.25), with clear vermicelli soup清麵線at NT$35 (SGD1.60). 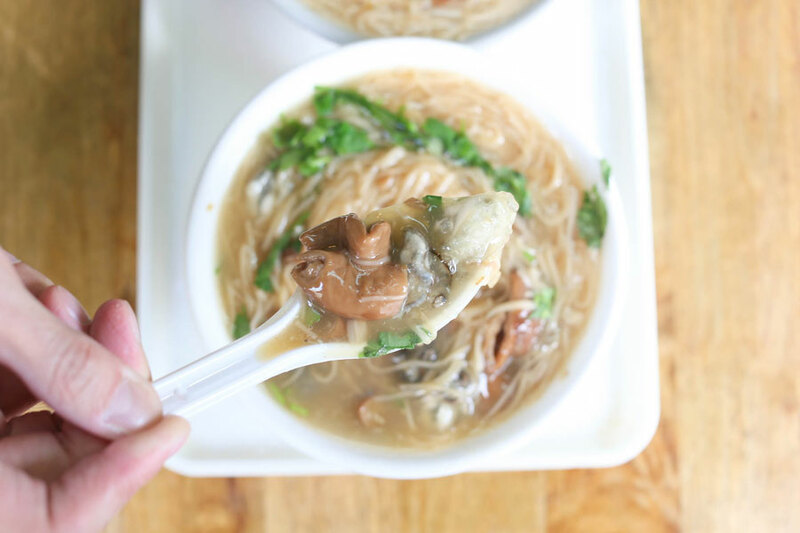 If you like your pig’s intestines, then you would love the Mee Sua here. 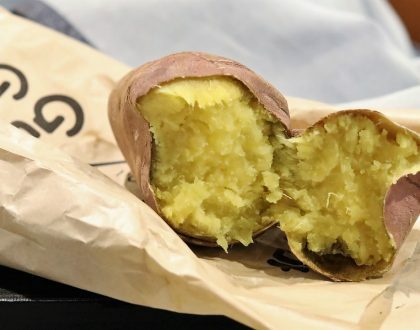 I found the pieces extremely soft, tender, and flavourful, and as a friend @eileen_eats_alot described, ”clean unlike some that have strong porky flavour”. I bought both large and small bowls to compare, and found the large bowl to be a lot more generous in ingredients. For the amount of oysters given, this bowl is reasonably priced. The consistency was smooth and thick without being sticky. Tip: Have it plain before adding some chilli and vinegar for more layered taste. 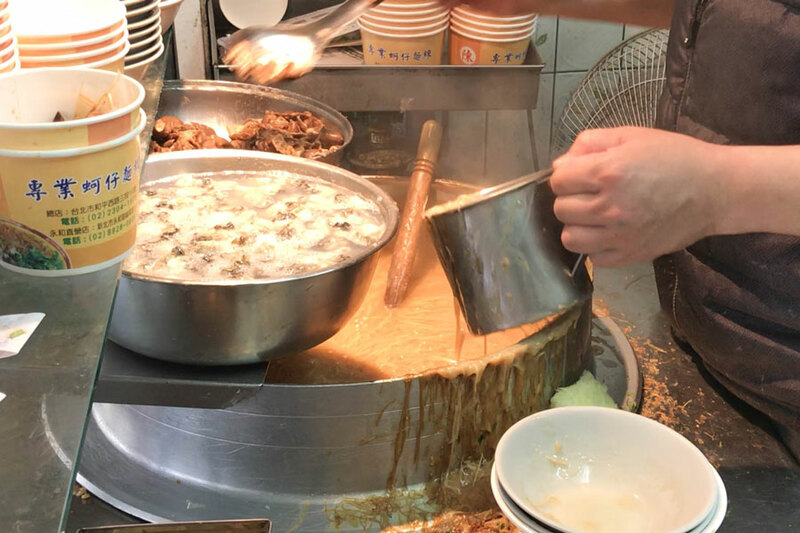 I tried about 8 different bowls of Mee Sua in Taipei, this ranks as my top so far. 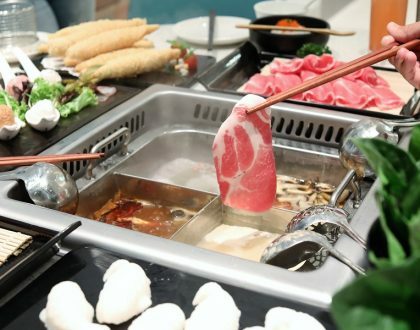 In order to reach this eatery, take the Exit 2 at the Long Shan Temple Station. Make the next left and walk straight down the street until you spot the traffic junction. 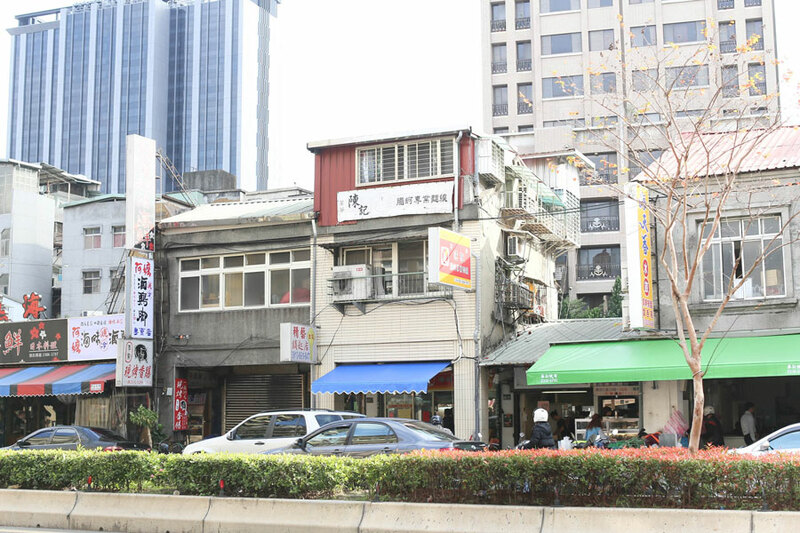 When you cross the junction, Chen Ji Mee Sua is a few shops away. Chen Ji Mee Sua usually gets crowded around lunch hours. Therefore, it is best to come during brunch time or late in the afternoon when there are fewer customers. Is this place near ximending?